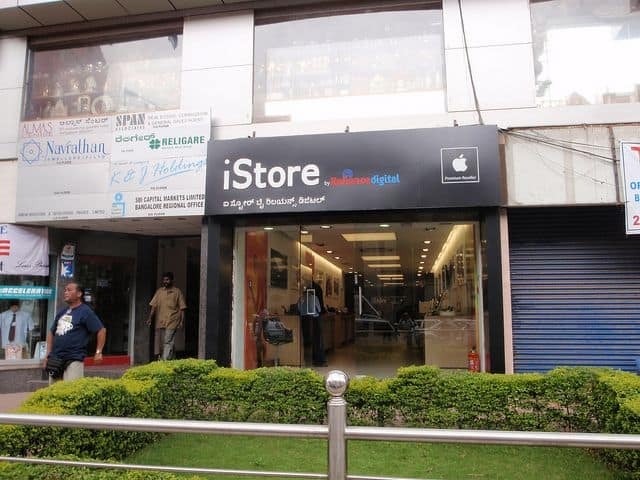 It’s been a long time coming, but the chances of an official Apple store in India may have just gotten a whole lot better. That’s based on the fact that India has just given Chinese smartphone maker Oppo the necessary permission to open its own single brand retail stores. Oppo is the first smartphone brand to be given this opportunity in the world’s third-largest smartphone market. It bodes well for Apple’s chances! Up until now, India has let foreign firms sell directly to customers through the single brand retail store route, although this has required them to source 30 percent of their products locally. For the likes of Apple, that’s been a deal-breaker. Other companies desperate to gain a foothold in the Indian market include Xiaomi and Vivo, which have had success in China and now want to expand to India. At present, Apple sells its products in India through premium resellers operating on a franchise model. While it has made clear its intentions to open a major Indian flagship store — with a design reportedly similar to the iconic Fifth Avenue Apple Store in New York — these have so far come to nothing. While Apple still doesn’t produce one third of its products in India, it has made big steps forward in this department. In addition to new offices, such as one dedicated to Apple Maps, Apple has also opened a new app development center with the purpose of training local app developers. In addition, a number of iPhones are now produced in the country, and this may well expand in future. Indian officials are also reportedly considering exemptions sought by Apple for a possible second unit assembling iPhones in the country. Apple has asked federal government officials for a range of tax and policy changes to help build its iPhone assembly work in India.